Our product range includes a wide range of sight glass flow indicator, float level indicator, digital level indicator, float board level indicator, sight flow indicator and sight glass. Kabir make To meet the variegated requirements of our clients, we are introducing a superior quality Sight Glass Flow Indicator which is used for monitoring liquid flow in pipelines & gives a quick, reliable and inexpensive way, the flow indicator offered by us is precisely manufactured by our skilled workforce using best quality raw material. 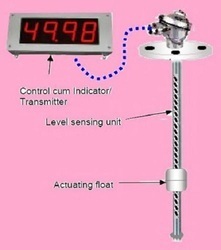 We confirm our customers that the provided flow indicator is excellent on counts of quality. Pulley Housing Aluminum / P.P. 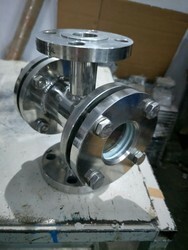 Flanges MS / SS / P.P. 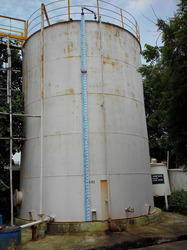 “KABIR” offered Float Indicator are used for fluid level measurement in several industries. The Float which is of course the most important element of the instrument. In fact, its structural design, volume displacement, weight, and buoyancy force are all taken into careful consideration when a float is specified for a particular application. “KABIR”also offers Vapor Seal Type Float & Board type Level Gauge which is generally used for tanks having corrosive fumes / vapors OR N­2 [Nitrogen] Purging tanks. As Compare to Reflex & Transparent type Level Gauge, this Tubular Level Indicator is light in weight. Kabir make Wide range of Toughen Glasses available to suit industrial pressure. All toughen glasses standard as per DIN 7080. 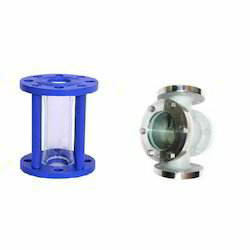 Sight Glass body material available ASTM A 216 GR. WCB (Cast Carbon Steel), ASTM A 351 GR. CF 8 (Stainless Steel 304), ASTM A 351 GR. CF 8M (Stainless Steel 316), ASTM A 351 GR. CF 3 (Stainless Steel 304L), ASTM A 351 GR. CF 3M (Stainless Steel 316L), ASTM A 351 GR. CN 7M (Alloy 20) and others on request. Body Hydraulic Test Pressure design up to 17 Kg./Cm2. Looking for Flow Indicators ?